No matter where we are, it’s always handy to have tools around as they are the just-in-case items that can help us in numerous situations. Though there are plenty of tools we could think of immediately, there are some that outweigh others in matter of usefulness and flashlights are among the important ones. Whether it’s doing some repairing at home, looking up things at the attic or basement, reading maps outdoors and finding tracks and spots suitable for camping, a flashlight can be essential to the point of saving your life. Some types, such as the tactical ones, can also be your self-defence option in places where weapons aren’t allowed, since its powerful beam can help you momentarily blind your attacker or a potential one and give you the time to escape. When looking to purchase a flashlight, of course it’s quality you want to buy so you don’t end up purchasing a new one often. You will come across many brands, among which Olight indeed stands out with the innovative products, designs, durability and prices. It’s certainly not easy to single out some, but we’ve done our work in finding the top notch flashlights that make for an ideal purchase. What makes for a mighty flashlight is the beam distance it has. With Olight M3X you have 1000 metres of beam distance coverage of 1200 lumens of high intensity Cree XP-L LED light. Though it’s relatively small, it’s throw is so powerful that it makes Olight M3X the perfect torch for a tactical operation such as law enforcement as well as for rescue and emergencies. It’s made of aircraft-grade aluminium with hard-anodized finish so it’s shockproof, along with waterproof properties. The side switch allows for mode switching that offers three brightness levels. The included accessories of this purchase are 2 spare O-rings, an extension tube, a custom holster and a battery magazine. 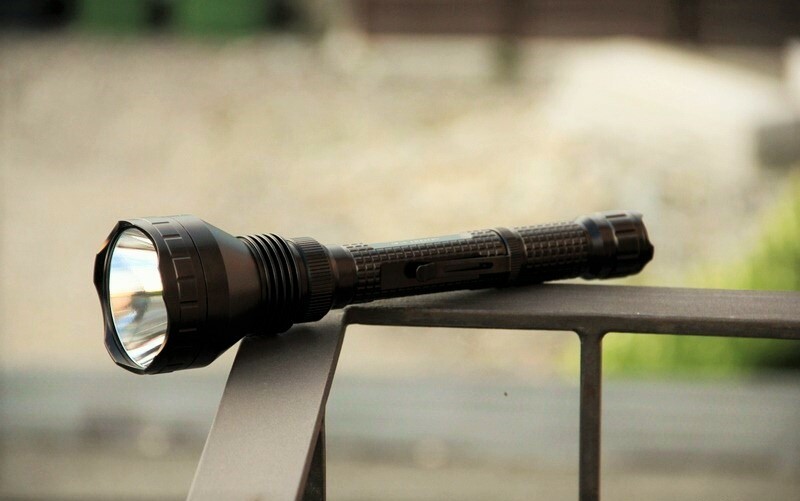 Another shockproof Olight torch that’s tactical is the gun-mountable Olight M23 Javelot. This flashlight has got a throw of 436 metres and LED that produces 1050 lumens. It has three brightness modes that range from 20 to 1020 lumens with an additional strobe mode, and sink rings are added to its head for heat dissipation. There’s reverse polarity protection in case batteries aren’t installed correctly. When you buy this tactical torch you get a user manual, holster, lanyard, diffuser and 2x spare O-rings. If it’s compactness you are after then your choice has to be Olight M10 Maverick. Its size makes it very easy to carry, even as an accessory in your everyday bag, and its maximum beam distance is 107 metres with 350 lumens. Among its special features are the deep reflector for a nicely focused beam, a switch that you can use to change the three modes of output (low, medium, high) as well as a dual switch, intelligent driver circuit to automatically memorise the output level and a two-direction pocket clip.